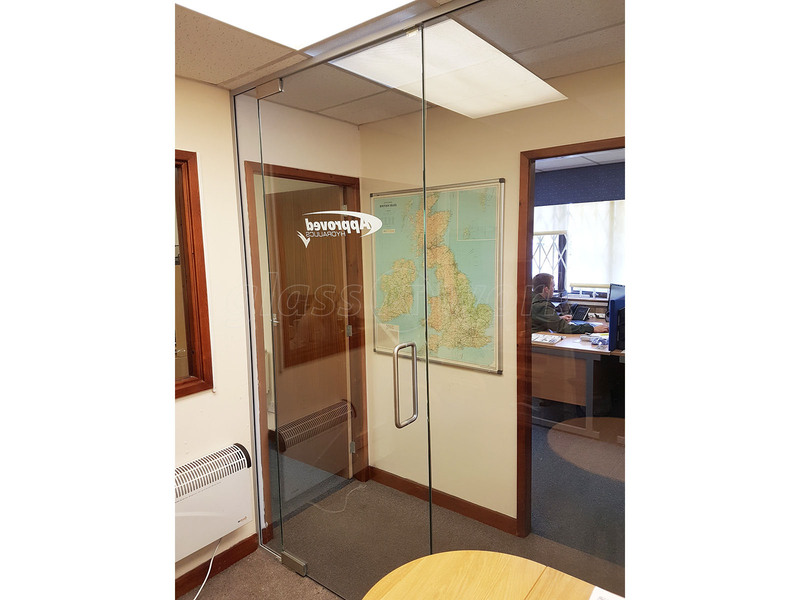 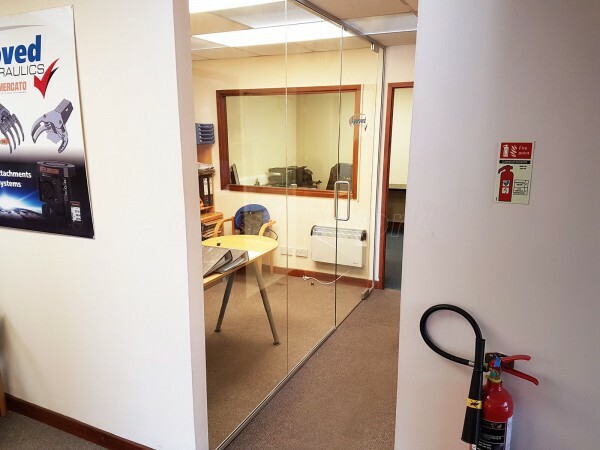 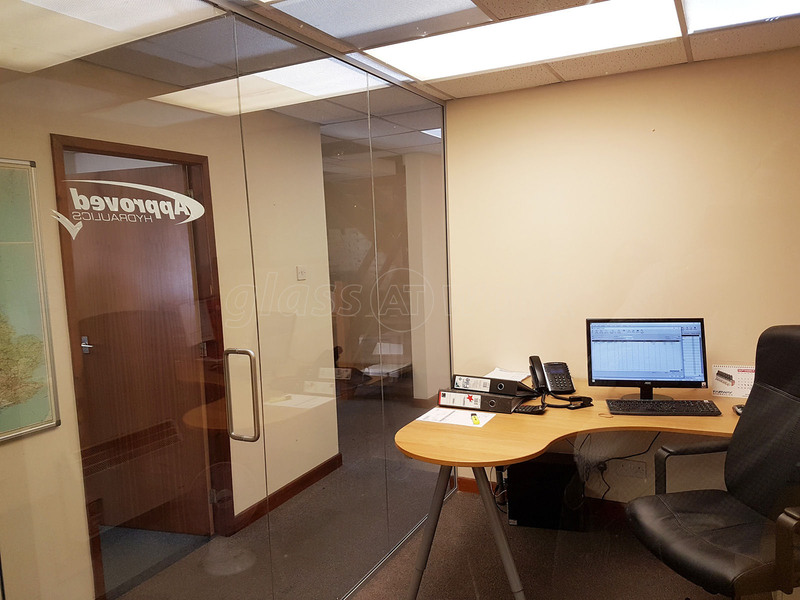 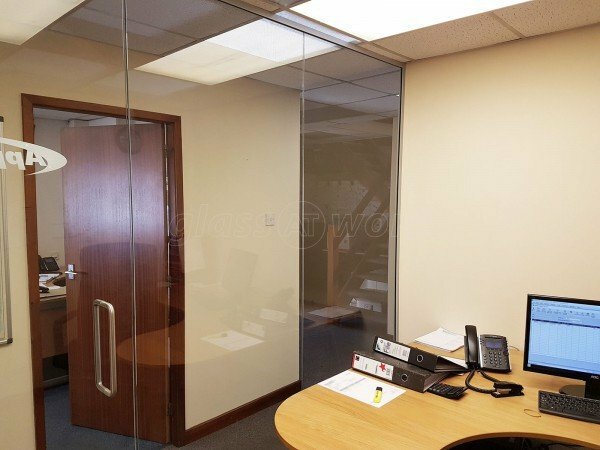 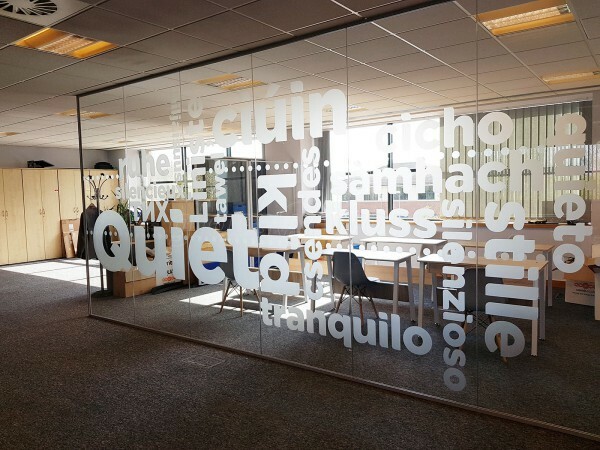 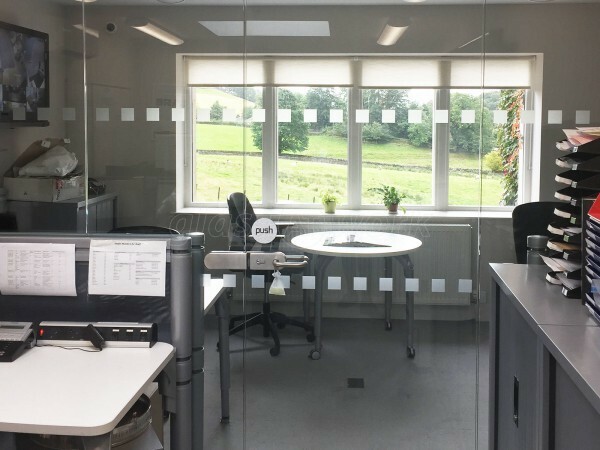 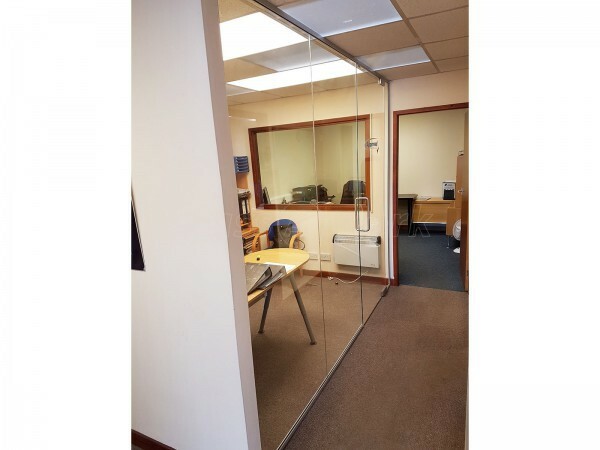 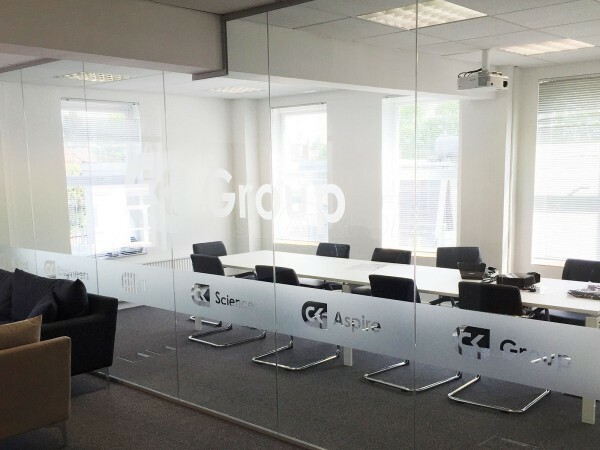 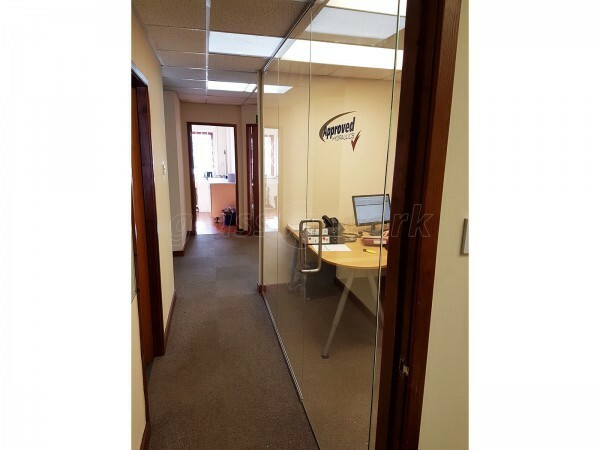 Glass Office Partition Including Frameless Door for Approved Hydraulics Ltd in Stockport, Cheshire. 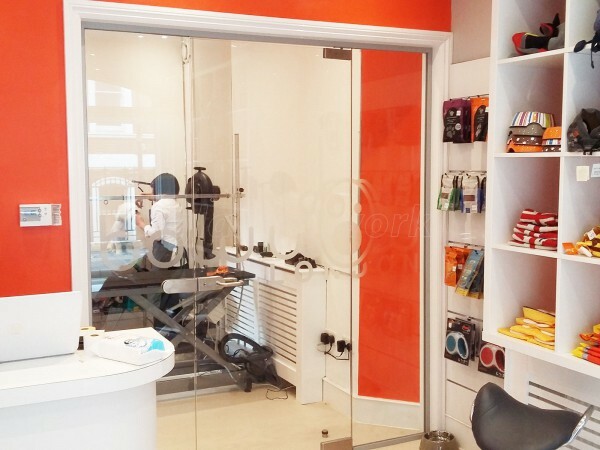 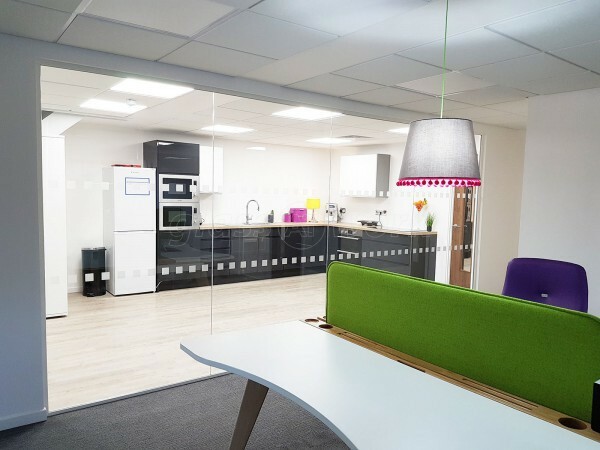 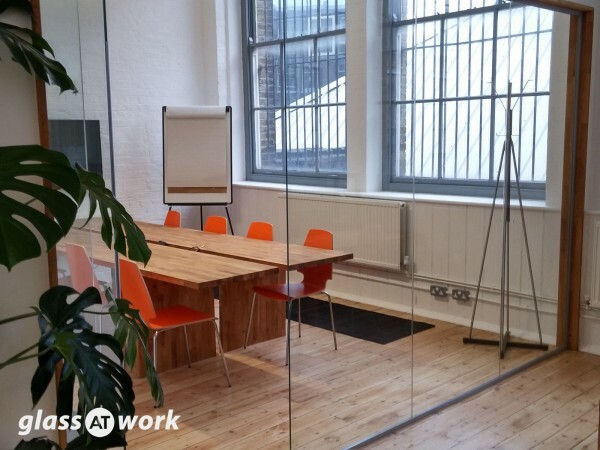 We were trying to utilise a dead space we had in our new offices to create a spare but modern and bright looking office. 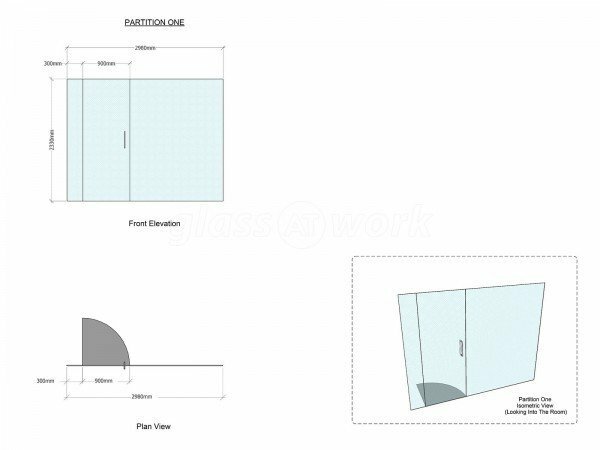 We weighed up building a traditional wall and window but we felt it would look oppressive, closed in and dark. 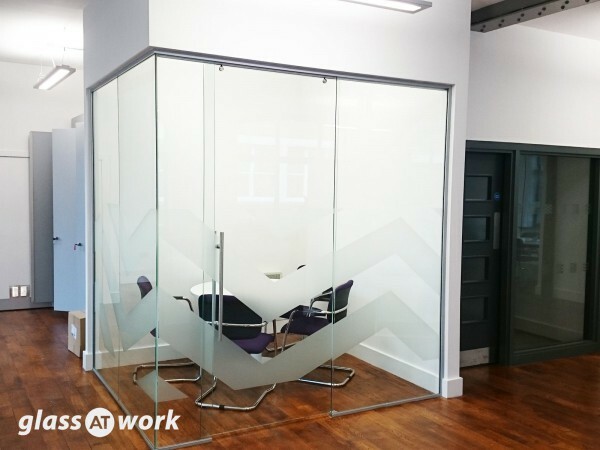 We contacted the GlassAtWork and they solved the problem with a brilliant looking addition of one wall with one door. 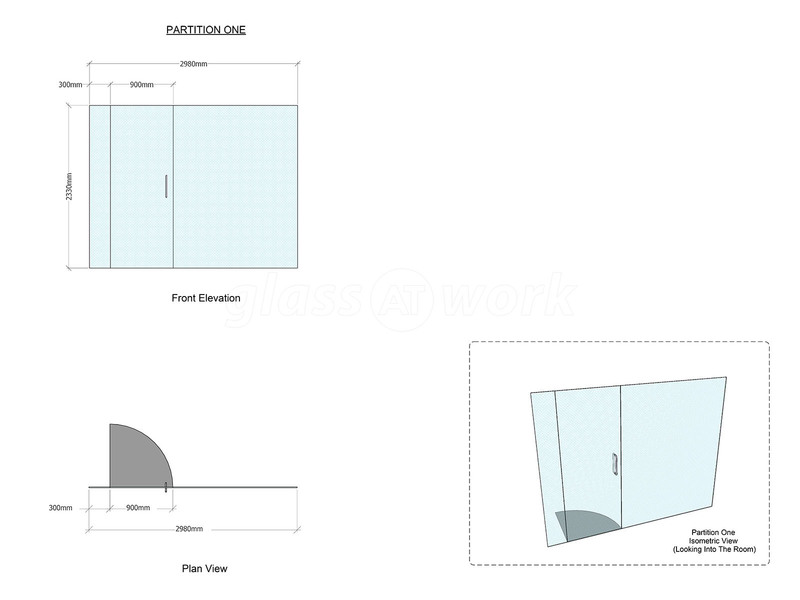 Ok small but beautifully formed !! 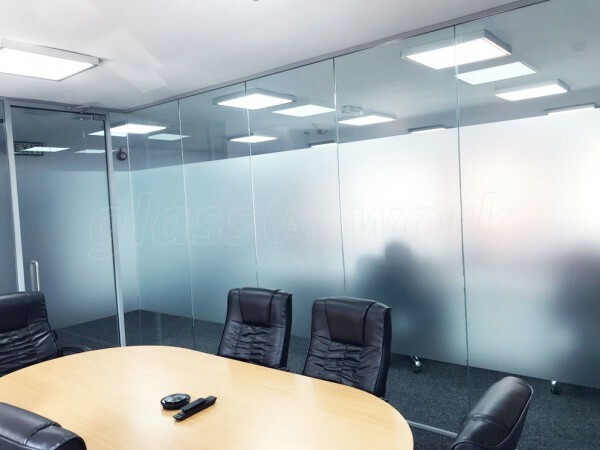 It was quicker, cheaper, brighter and hugely more impressive than a traditional wall. 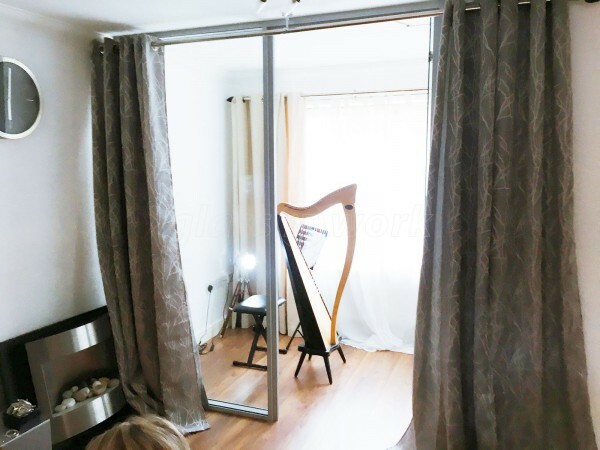 I would definitely recommend them to anyone trying to create more space and have an impressive modern look. 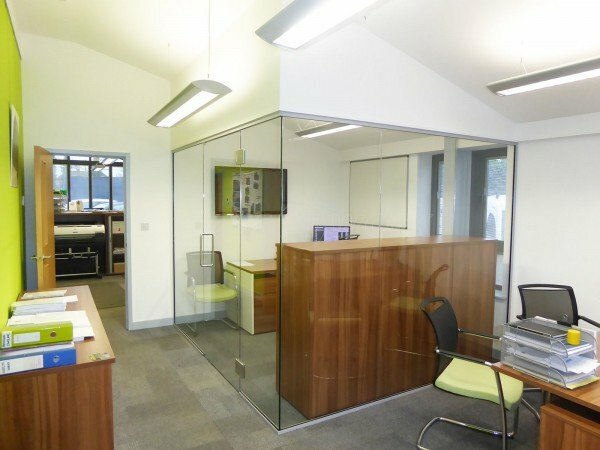 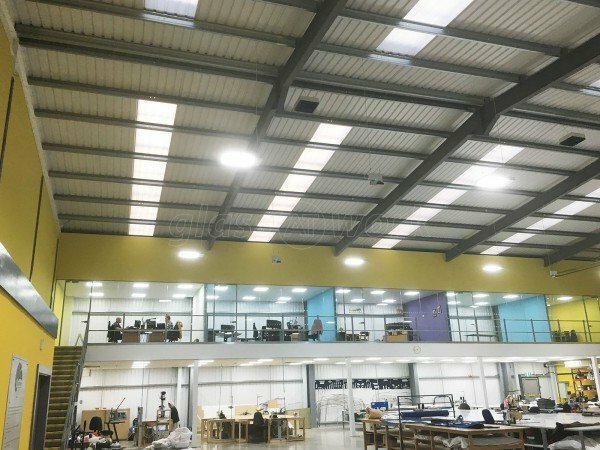 ...clients are so impressed with our beautiful mezzanine floor of offices. Great company and a genuine case of 10 out of 10 for both product and service.